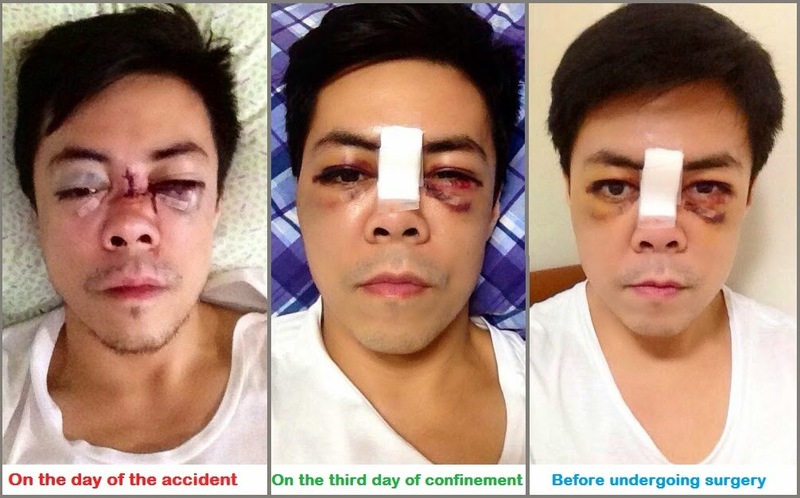 April 2, 2014; The first photos of actor Lance Raymundo's face were released by ABS-CBN news after the gym accident happened last month. Raymundo's face were totally crushed after 80 pounds or about 36kg barbel fell on his face while doing barbel lifting on gym. After the fist operation done last March 25, Lace's face were reconstructed almost 85% according to Raymundo on ABS-NEWS exclusive interview. The 2nd facial surgery will takes place about a month to restore the remaining 15% damage on his face as continually narrated by Raymundo. The trainer who were assisting Lace when the accident happened were fired but the actor requested his father to talk with the gym owner to bring back the trainer as he emphasize that no one really wanted the accident to happen. The very important when working out is Focus and make an extra effort to check if everything is locked in place and securely fastened before continuing the lifting as advised by the actor. Please Be careful, your good body shapes are useless if your face is damaged. Speak up your mind by posting comment below, thanks.